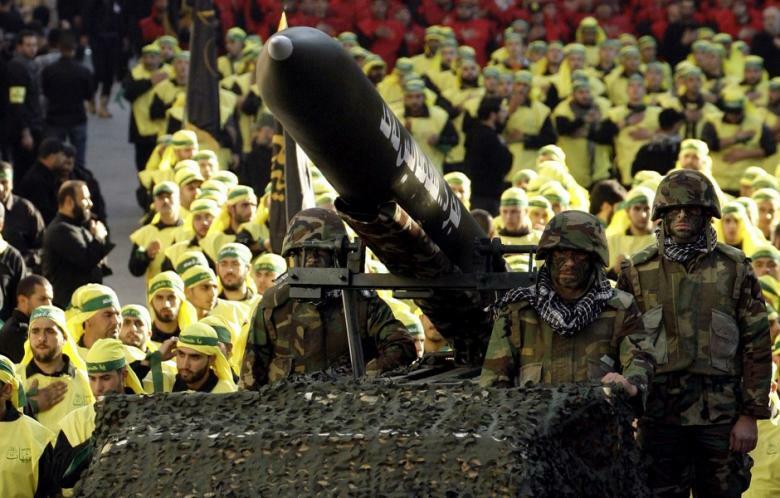 JNN 06 Apr 2015 Beirut : Fighters from the Lebanese Hezbollah resistance movement have pounded a base run by the Islamic State in Iraq and the Levant (ISIL) terrorist group in Syria’s mountainous Qalamoun region along the border with neighboring Lebanon. A Lebanese security source, speaking on condition of anonymity, told Beirut-based English-language newspaper The Daily Star that Hezbollah fighters lobbed three rockets at the base in Khachaat area of the region, which lies about 60 kilometers (40 miles) northeast of the Syrian capital city of Damascus, on Friday and destroyed it. The source, however, did not provide any information about the number of the casualties and the type of damage that Hezbollah inflicted upon the terrorists. The al-Qaeda-linked al-Nusra Front (Jabhat al-Nusra) and the ISIL Takfiri terrorists overran the eastern Lebanese town of Arsal, situated 124 kilometers (77 miles) northeast of the capital, Beirut, last August, killing and capturing more than three dozen soldiers and security forces. They have executed at least three of the hostages. ISIL Takfiri terrorists demand the release of a number of militants in Lebanese jails in exchange for the captive Lebanese soldiers and policemen. Over the past months, Lebanon has been suffering from terrorist attacks by al-Qaeda-affiliated Terrorists as well as random rocket attacks, which are viewed as a spillover of the conflict in Syria. Syria has been grappling with a deadly crisis since March 2011. The violence fueled by Takfiri groups has so far claimed the lives of over 215,000 people, according to reports. This entry was posted in Lebonan, Middle East and tagged BEIRUT, Hezbollah, hezbollah fighters, Islamic State, Lebanese security, Syria. Bookmark the permalink.